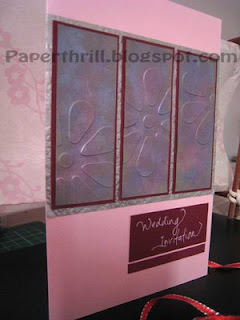 Pink is such a romantic colour for weddings, and I absolutely love the embossed flower in the front of the card. 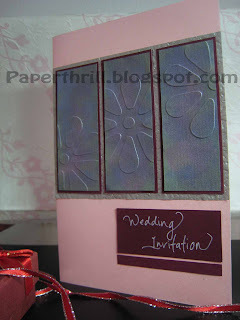 I wanted the flowers to stand out, and felt that embossing will suit it this card just right. I also wanted to create some sort of framed art kind of look. 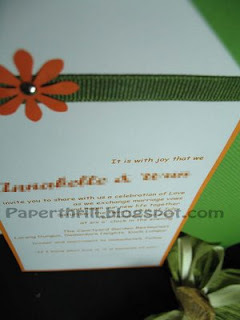 So I embossed the flowers at different angles and added a layer of paper mat to create borders. 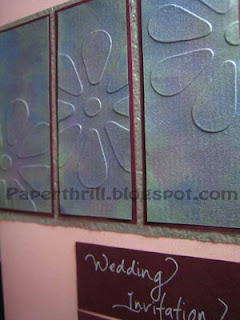 Shimmering effect in blue, pink and purple were added to make the flowers stand out even more. 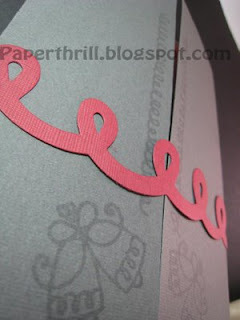 The end result is a pretty in pink invitation card which looks absolutely sweet and unique, and not too girlish. 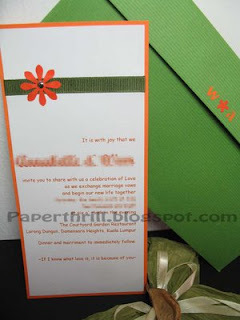 Invitation wordings can be printed on inside of the wedding card, on a separate pastel pink paper. 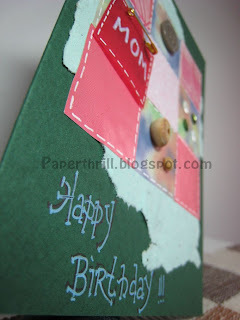 Gate fold cards add a sense of mystery to the receiver. 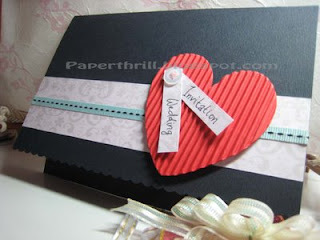 So I decided to do a wedding card using this style for those couple who want to create this feeling to their guests. I opted for something simpler on the outside as I feel the content should be of higher importance. 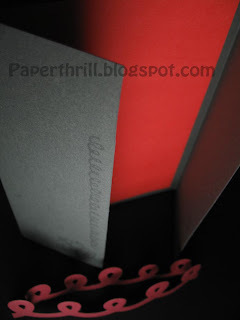 I chose ash grey cardstock for the mysterious feel and added a red swirl as the band. I used the same swirl design and handstamped the side for a watermark effect. 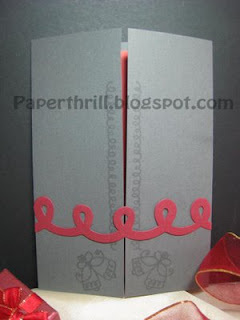 I also added wedding bells to the corner and if you notice, there are two wedding bells which symbolizes the union of two people. 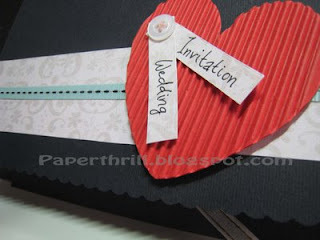 Invitation wordings can be printed on the inside of the wedding card, on a separate red cardstock. 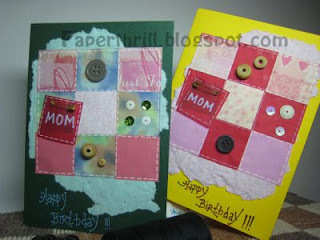 My mom loves sewing, and my sisters and I grew up using patchwork blankets she made for us. 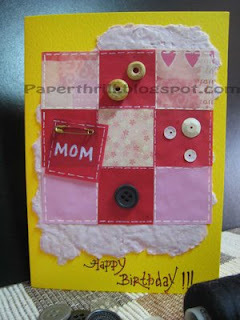 This handmade birthday card was inspired by those blankets made with love by my mom, and my mom's love for us. The patchwork 'blanket' was recreated using small squares of pattern papers, and adding faux stitching effect around it. 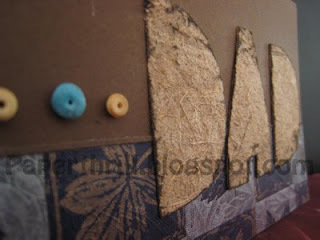 A torn-edged handmade recycled paper was added to give the 'blanket' some depth. 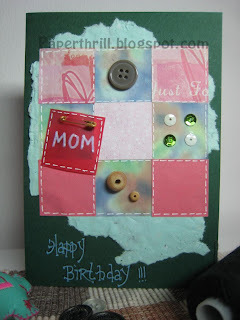 A small collection of beads, buttons and sequins adds a little charm to the card. 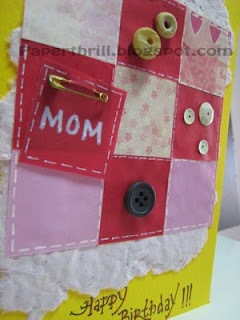 The final touch was a small safety pin pinned through a paper with the word 'Mom'. 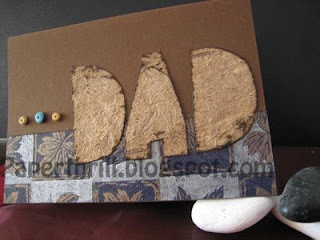 All in all, this card exudes warmth, comfort and love, perfect for any loved ones.